There are a few worthy causes where I do what I can, and helping and encouraging non-traditional people to get careers in science and technology is one of them. For much of Europe and the U.S., the “non-traditional” category unfortunately includes women, who as a group are hugely under represented in the fields of science, technology, engineering, and mathematics (STEM). In India, however, this is not the case. 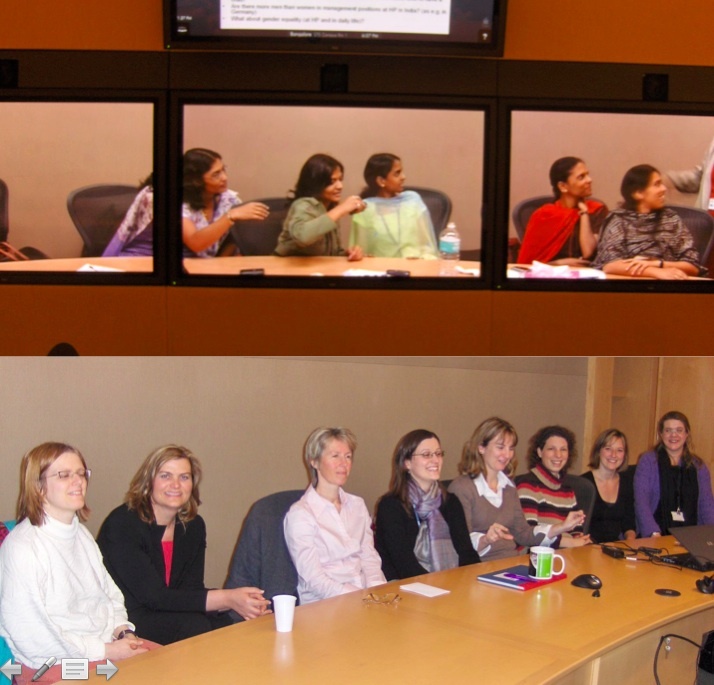 Back in 2007, when I observed that my Indian team was comprised of roughly 50% – 60% women – all of them talented and hardworking software developers – I thought it might be productive to put them into contact with some of the IT women working at Hewlett-Packard in Germany. For this we used the ultra-modern videoconferencing system. Now, I am not a woman – so I clearly did not get an invitation to these exchange sessions. But afterwards my colleagues in Germany and in India told me the mutual exchange was interesting and successful, and the mutual information sharing, experience sharing, and “challenges” sharing was really beneficial for both sides. Recently, India has gotten some bad press about its treatment of women – and clearly (as in all developing societies) there is progress to be made. But the huge numbers of Indian women in IT and other technical fields are routinely ignored. Given the tremendous history and cultural affinity for modernization and innovation which lies at the heart of the Indian culture, it would be wonderful if more leadership opportunities existed for our Indian colleagues to “enlighten” Western countries in areas like these!